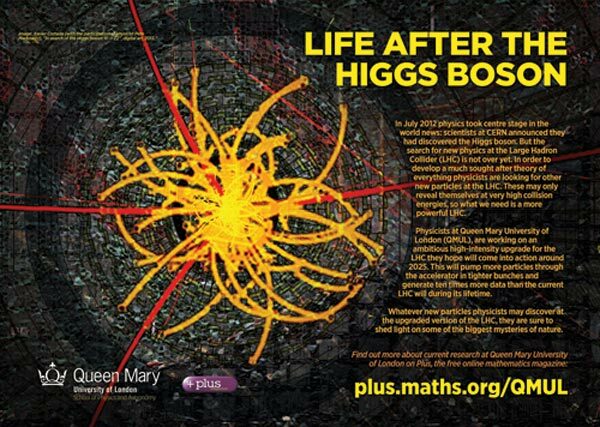 Over the years Plus has created a number of posters, designed for display in classrooms, libraries and science festivals to enthuse and inspire students and readers and promote particular areas of Plus content. The posters on this page are not available in hard copy. However, you are welcome to download PDF copies to print for yourself. Just click on the links under the images below. 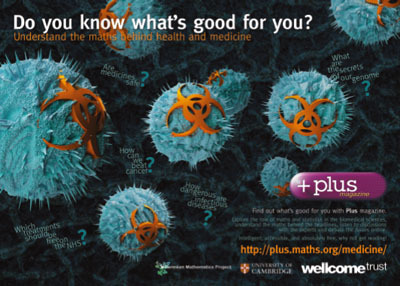 There are several posters: there's a set of three 'Careers with Maths' posters, our original Plus poster, our 'Do you know what's good for you?' 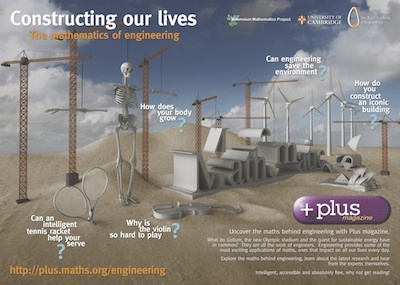 poster, promoting our project exploring the maths in the biomedical sciences, a 'Maths and Engineering' poster published as part of our Constructing Our Lives project funded by a Royal Academy of Engineering's Ingenious grant, and a set of four posters from our Researching the unknown project with Queen Mary University of London. 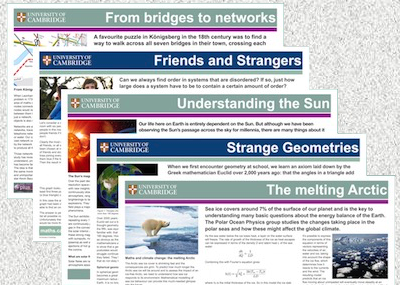 You can also find our large collection of posters based on individual Plus articles produced with researchers from the University of Cambridge. 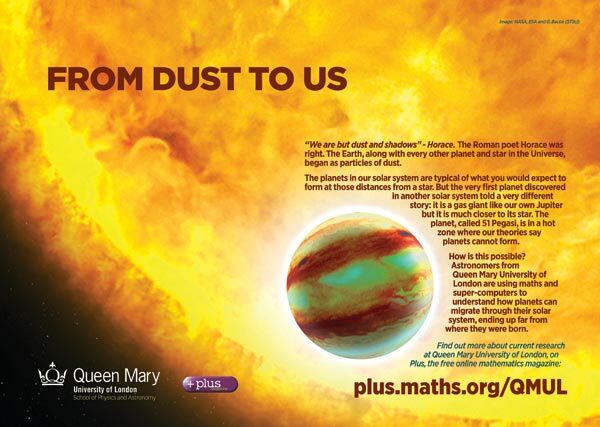 We are happy for you to print out copies of the Plus posters for non-commercial use, at home or in a classroom, or at events such as maths fairs or university Open Days, but we retain copyright on all the posters, and you may not modify them in any way. 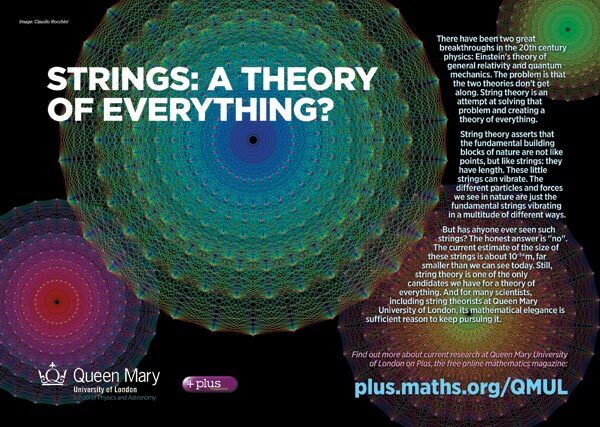 These posters provide brief versions of Plus articles – perfect for science festivals, open days and maths fairs! Find them all here. 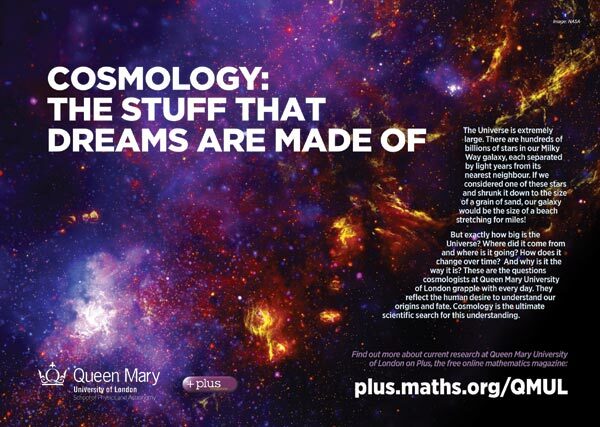 Researching the unknown: What is cosmology? The Do you know what's good for you? poster - click here for a copy of this poster - warning, this is a 17MB file! 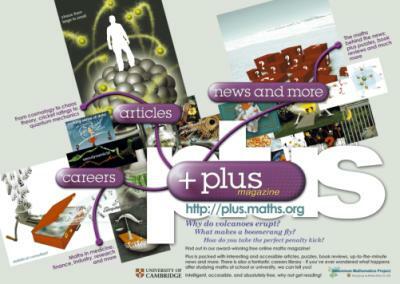 The original Plus poster - click here for a copy of this poster - warning, this is a 3MB file!